It is an extraordinary thing to watch specific moral values being celebrated at the same moment that they are being defiled. Often by the same people. The world’s media has, in recent days, been filled with tributes to the life of John McCain. Aside from his exceptional bravery as a captive in Vietnam, the main quality that these tributes focused on was McCain’s willingness, later in his life, to transcend political boundaries. It was not simply that McCain was willing to work with, befriend and advise Democrats as well as Republicans in the Oval office. Nor was it just the fact that on issues including campaign-finance reform, he was willing to push bipartisan legislation. Or that in 2008 he even suggested that Joe Lieberman (still a registered Democrat at the time) might be his running mate in his Republican campaign for the Presidency. It was not the specifics that commentators and politicians noted, so much as the remarkable general attitude. It’s a frame of mind that is diminishing in American political life, just as it is retreating from political life in Britain and other major democracies. When he was a Senator, McCain always held the view that reaching across the political aisle was a natural thing to do; he believed that what unites people elected to political life is greater than anything that can divide them. He saw political differences as just that – differences of politics but not differences in allegiance to the wellbeing of the nation. Of course, it is easy to speak well of the dead. Any challenge they once posed is diminished, if not completely erased. And so it is interesting to observe such celebration of bipartisanship in the dead, when it’s the last thing to be lauded among the living. During the week in which the world honoured John McCain, one of the very few figures in British politics who could be said to embody remotely similar ideals to those of the late Senator resigned from his party. In Britain, barely anyone has a career-long reputation for reaching across the political divide between Labour and Conservative. As in America, most people bemoan the lack of cross-party cooperation – but do little in practice to alter the reality. Not so the former Labour MP Frank Field. During his decades in Parliament, Field has been unusually morally consistent. He has been a constant foe of the excesses of capitalism and from the Maxwells to Phillip Green he has challenged those guilty of such excesses assiduously, forensically and to their faces. He has been a consistent critic of elements of the European Union and has campaigned and voted accordingly, whether the government of the day was Labour or Conservative led. In the process, he has gained Conservative admirers and left-wing detractors. But he has been a crucial embodiment of the views of millions of people: not Conservatives who want a token Labour party MP to love, but as a representative of the millions of Labour voters who voted ‘Leave’ and who see few people in their own party willing to respect their wishes. There are other issues on which Field has also stood out. Ten years ago he set up an All Party Parliamentary Group on ‘Balanced migration’. He set this APPG up with the Conservative MP Nicholas Soames. This was seen, in Westminster and the press, as evidence of an ‘odd couple’ political friendship which gave hope that other such bipartisan friendships and cooperation might be possible. In reality such a thing has remained all-too uncommon. 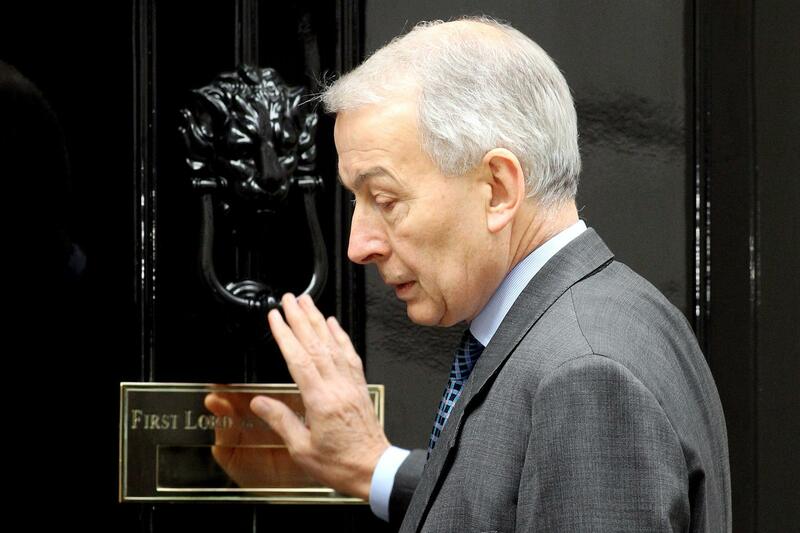 But now Frank Field has resigned the Labour whip. Among the reasons given is the anti-Semitism which has become endemic in Jeremy Corbyn’s Labour party. Naturally, this has led to attacks on Field from hardline supporters of Jeremy Corbyn and others. Various claims have been made against him, but perhaps the most striking has been their weaponisation of Field’s friendships across the political divide. In particular, his friendships with Margaret Thatcher and with Enoch Powell. Both of these people are long-dead. But both of them, in death as in life, are still turned from living, breathing human beings with oddities and failings of their own, into fire-breathing monsters in the Left’s hall of infamy. There is even more ire for them in death than there was in life. Consider this programme, broadcast in 1978, in which the veteran Labour MP Dennis Skinner sits with Enoch Powell in a television studio discussing a range of policy areas. Skinner does not ‘no-platform’ Powell, or spend the programme railing against him. He recognises him as a fellow Parliamentarian, who represents his constituents and with whom he has points of political similarity as well as points of political difference. Frank Field, now almost 80, has lived through plenty of the tos and fros of political life, and watched the rise and fall of many men and women of power. To have been on friendly terms with Powell or Thatcher is not an indictment of his personality, but a demonstration of his strength of character. Nor were these friendships kept darkly secret, as Jeremy Corbyn’s semi-professional outriders now wish to pretend. Six years ago Field contributed a moving, honest, warm and critical essay to the volume ‘Enoch at 100: a re-evaluation of the life, politics and philosophy of Enoch Powell’, edited by Lord Howard of Rising (Biteback, 2012). It is worth re-reading. Field was just as open about his relationship with, and opinions about, Margaret Thatcher. Nor is the fact that Field was able to sustain a friendship with Thatcher up to her last days evidence that he is some kind of closet Thatcherite. Such claims are akin to the claims by some Republicans that John McCain’s friendships with Lieberman and other Democrats demonstrated that he was a secret Democrat. After Margaret Thatcher’s death the House of Commons paid tribute to her. With the exception of a splenetic and deranged act of grave-spitting by Glenda Jackson, these tributes were appropriately respectful and thoughtful. But the most thoughtful and significant – from either side of the House – came in the tribute paid to Thatcher by Frank Field. As his local newspaper recorded, Field paid the most significant possible tribute to Thatcher: by analysing what she had wished to achieve in power but failed to accomplish. The speech was one of the most generous, critical and illuminating contributions the Commons had seen in many years. Those who defend Corbyn and this special line of hyper-partisan, intra-party vituperation, might bear the tributes to McCain in mind as they determinedly roast Field. They will claim that being on even moderately friendly terms with Thatcher or Powell is nothing like being friends with Barack Obama or George W Bush. But they could not be more wrong. Hyperventilating attacks on both McCain’s erstwhile friends were at least equal to those attacks currently being made against some of Field’s friends. Last week, the hysteria-whippers paused for a moment before the body of John McCain. If they are going to honour those tributes, they and their ilk should consider whether it might be a good idea not to save their kinder reflections for the dead, but occasionally share them about the living as well.